The Late Night Experiment web series producer and actor Motown Maurice adds a new video "Ain't Garages Great - Late Night Television Edition" to his repertoire, which promotes Motown Maurice as The Future of Late Night [Television]. completed and published. The series is centered around Motown Maurice's quest for the position of late night talk show host. Furthermore, Motown Maurice garnered "Best Actor" award at Mockfest 2014 Film Festival for his lead performance in The Late Night Experiment special edition short film. Motown Maurice is also known for being the founder of The Quarterly Wrap Festival , a local film festival that features cinematic works from independent filmmakers. 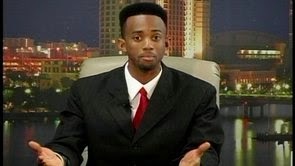 The Late Night Experiment was originated by Motown Maurice who is actively seeking to rekindle the fire of success that he experienced when he was in his home town of Tampa, Fl., where he had his own television talk show. Motown currently resides in Los Angeles, California.